In my family, we love a good road trip. Cross-country trips, day trips, weekend adventures—we love them all. My husband and I were blessed with kids who travel well and have fun in the car. Here are some things that I do in advance of any big trip to make the trips fun for everyone—including Mommy. And with no screens! 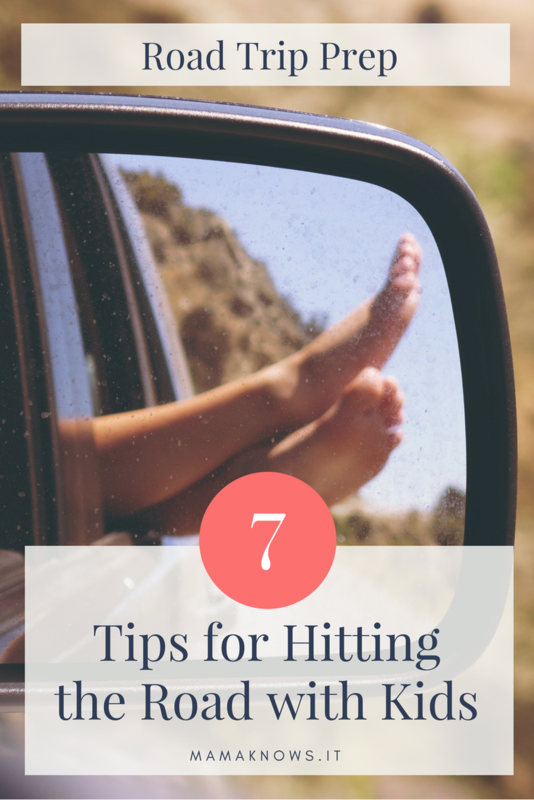 Wipe the sticky finger prints off the kids’ windows, vacuum the car, and wiped down the dash. Start the trip off strong so when the car is a wreck after the first day or so, you can at least stay on top of things. If you have time, let the kids join you as you go through a car wash to kick off the trip. I have learned by trial and error that sweet treats are fun, but you need to limit them. Since kids are prone to car sickness just generally, adding too much sugar in the mix can make for some unwanted roadside stops. Water bottles, crackers, fruit, and veggie sticks are a great way to go. The trick is to give the kids choices and let them eat as they are hungry. Also, loop a grocery bag on the car seat armrest, and they can even throw away their own trash as you go. Every time we get to a new state, I give the kids a fun-filled brown paper lunch bag that has a theme of the state we just entered. The internet has loads of free coloring pages, mazes, facts sheets, and word searches. But also look for websites for local museums and places of interest. Museum education departments often post interesting materials that can go in the bags. Label each bag with a marker, and hand them out as you go. One thing I try to do is make each kid a binder with plastic folder sheets. Inside the folders, you can put road trip bingo, scavenger hunts, tic-tac-toe pages, jokes that the kids can tell each other and other games that the kids like. Then there are car games the whole family can play. We like “I’m going on a picnic” where you go around the car and each person says “I’m going on a picnic and I’m bringing a _____.” Each word has to start with the next letter of the alphabet and repeat what the people before have said. Also, there is the classic alphabet game where you find the letters in order on signs. A basket of books and crayons are also good, so the kids can grab what they need as they need it. Ahhhh. Classic. But you can make them fun now in the new age of playlists and Bluetooth devices. Pick a category and each person can pick a song that they want to hear. Youtube can access almost anything you want these days. You can do categories like: songs that have animals in the name, songs you like to dance to, songs that rock. My son’s favorite? “The Imperial March” from Star Wars. Surprisingly good for a car trip so crank it up, and give it a try! My daughter’s favorite? “Shake It Off” by Taylor Swift. So fun. Have a bag in the back of the car ready to go with towels and swimsuits. Make sure you have a picnic blanket at your disposal. If the kids are getting antsy, be ready to stop and take a rest. But if Mom and Dad see something fun that they want to do, be flexible for them, too. Road trips should be fun for everyone! Bonus Tip: If you are doing a road trip with a baby, the best tip I ever got was to try to time the driving with nap times. Makes everyone happy. Road trips are great opportunities for some quality family time. Making things fun for everyone can go a long way for teaching kids how to enjoy the long hauls and taking some anxiety away from Mom and Dad. So, get ready to hit the road, family style!